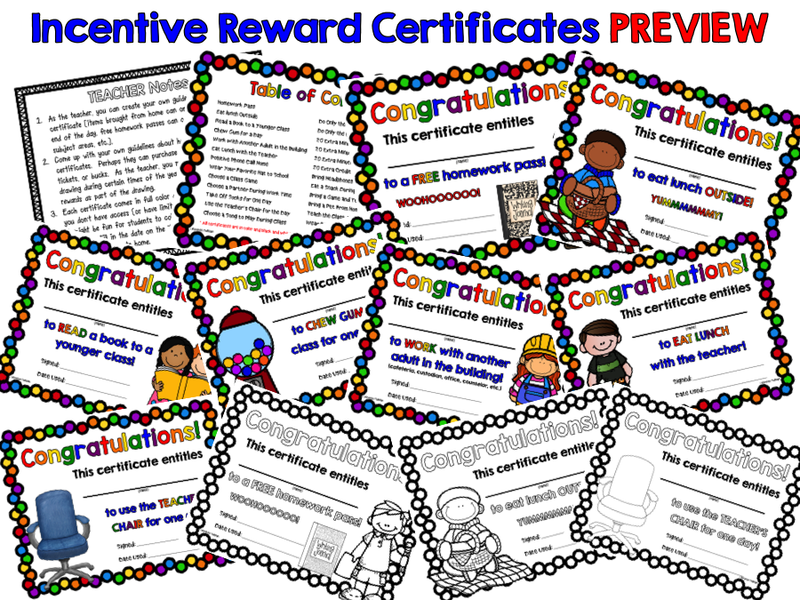 These Reward and Incentive Certificate Coupons for academic and behavior reinforcement are perfect for the teacher who wants to give no cost rewards for student achievement (or behavior). 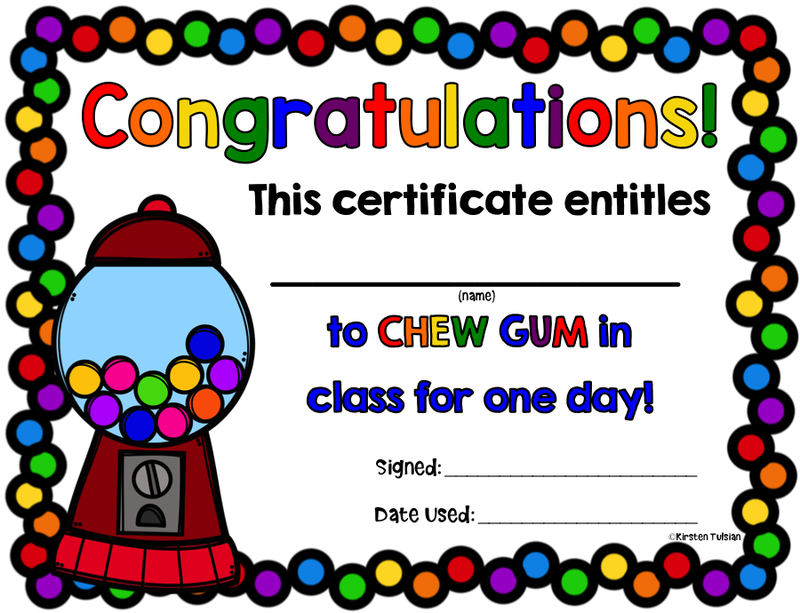 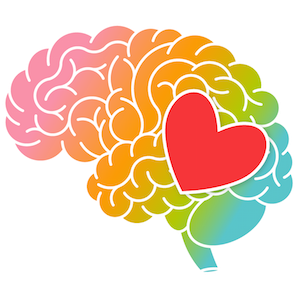 There are 25 reward certificates in the product (each incentive coupon comes in full color and black and white), as well as a teacher tips page and a table of contents. 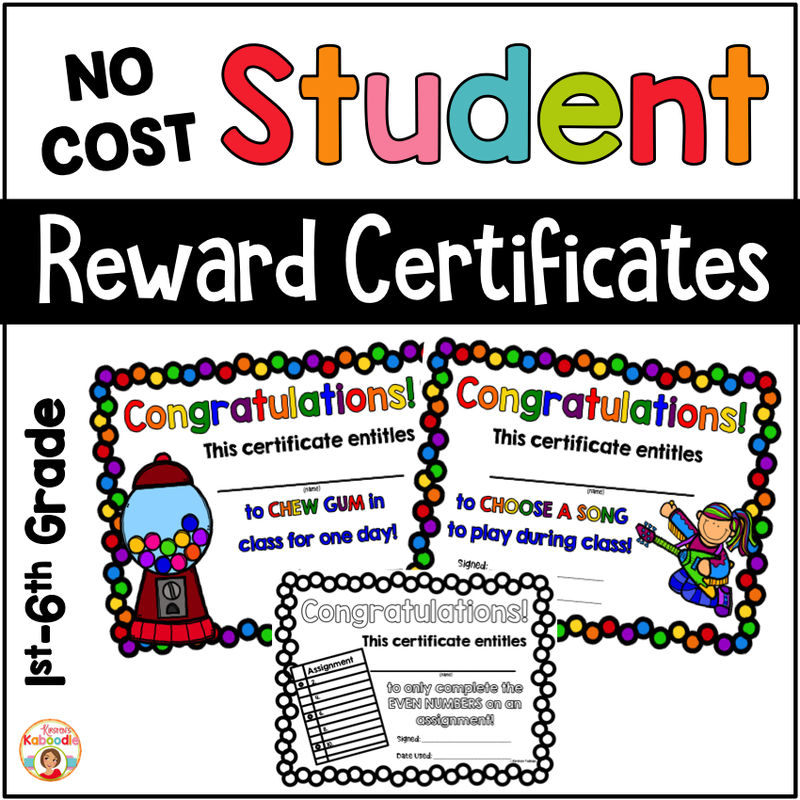 These rewards certificates are designed to motivate students due to the value of their reward. 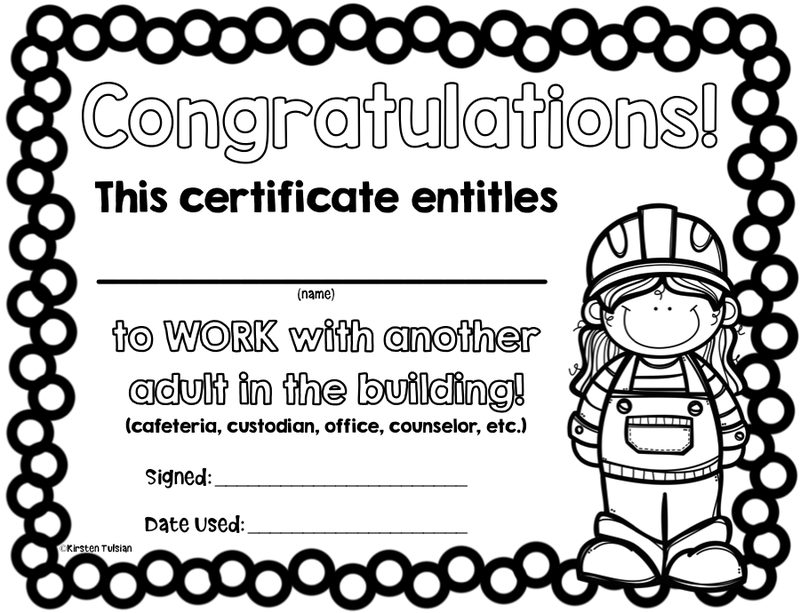 None (and I mean NONE) of these certificates require a teacher to go out and purchase anything or prepare anything ahead of time.Please note that these certificates ARE NOT EDITABLE! 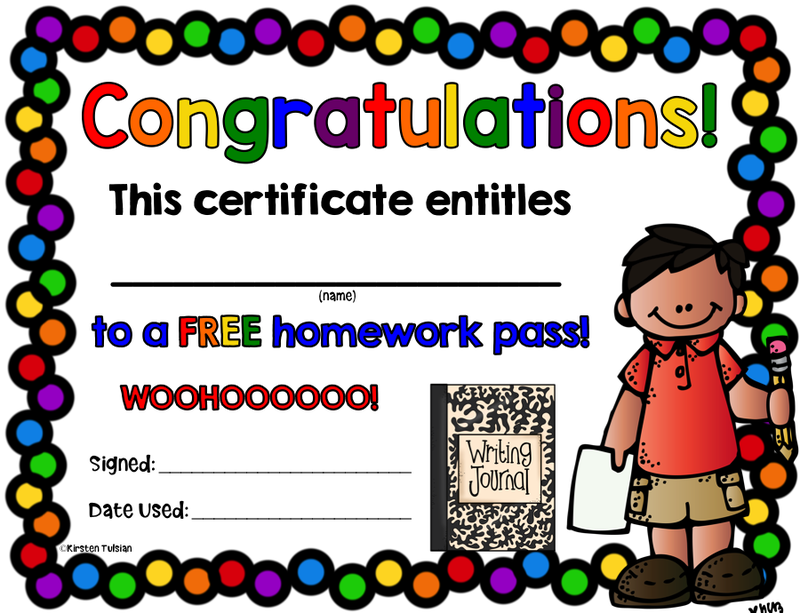 You will print the certificates and write the student’s name on the certificate. 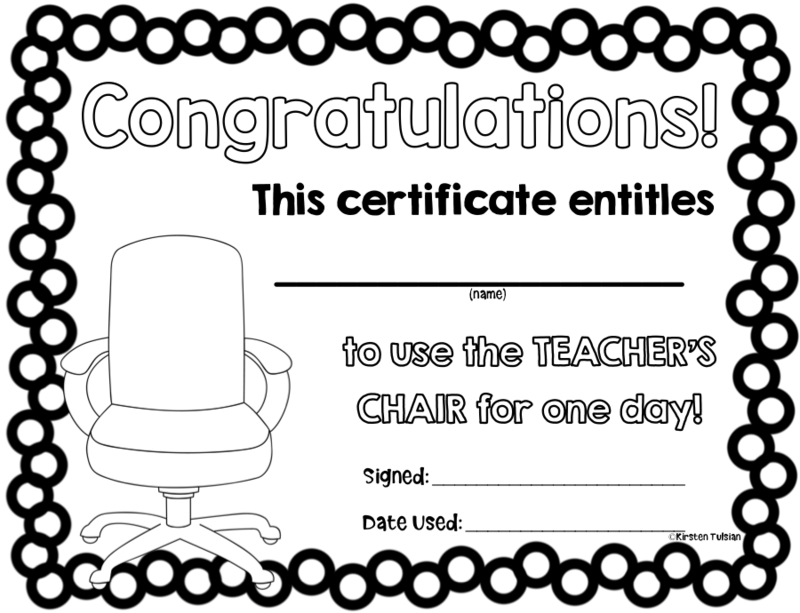 They are designed this way on purpose because the teacher is not choosing which student each reward will go to, but rather the students are choosing the rewards (at which time, the teacher can write the student’s name on the award with a marker). 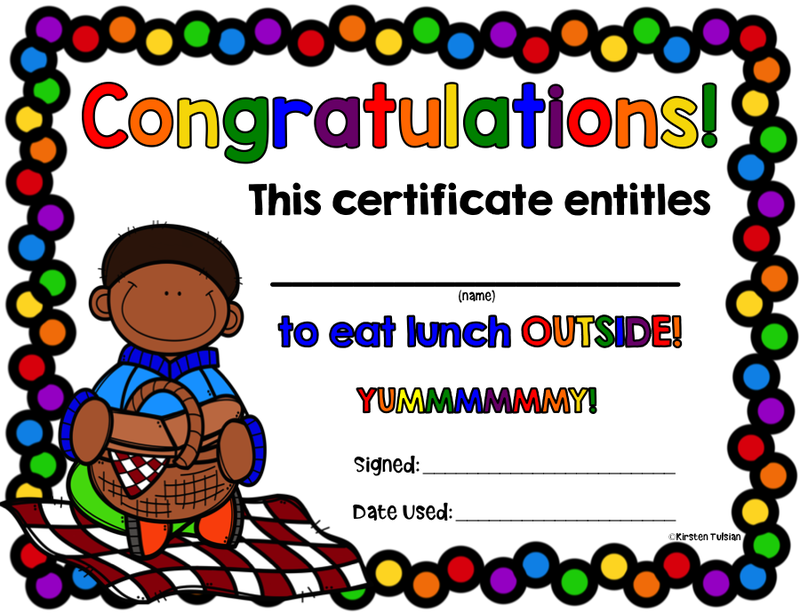 This file contains 54 pages.